Selecting the right gift for dear husband on Valentine’s Day is certainly no piece of cake. The mushy romance of premarital phase having taken a back seat, most men generally do not much look forward to tender goodies like roses or chocolates. So what will be perfect to pep them up? 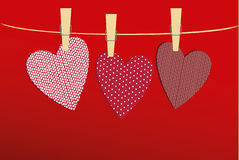 Take a look at these DIY Valentine’s Day gift ideas that have been selected thoughtfully to make your special day hot, happening, and happy. Sipping a steaming cup of tea early in the morning constitutes a habitual work of most husbands. 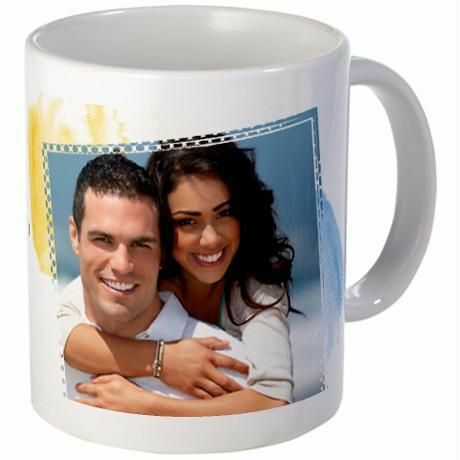 How about a mug lovingly displaying one of your coveted past moments on it? Apart from being useful, it’ll surely be a good way of making him remember fond memories every other day. Set the picture on the mug loosely to see if it fits properly. If it does not, you need to resize it. Put the transfer paper in your printer to obtain a ready image. Spray it with a clear acrylic coating so that it stays longer. Cut it according to your required size and soak in water for about 1 minute. After taking the picture out of the water, stick it on your mug. Let it dry for some time. Once the image dries, wash the mug to clean away any ink residue. Only you know what your dearest one loves munching or the liquor he can gulp in gallons. Hence, surprise him by preparing a neat basket full of the things he adores this Valentine’s Day. Put some crumpled paper at the bottom of the basket to obtain a decorative base, and cover with colored paper. Keep the tallest item in the center. Arrange the other gifts the way you wish – you may keep the smallest ones in front or merge them between those with medium heights. Put additional fillers in-between to keep all items upright. 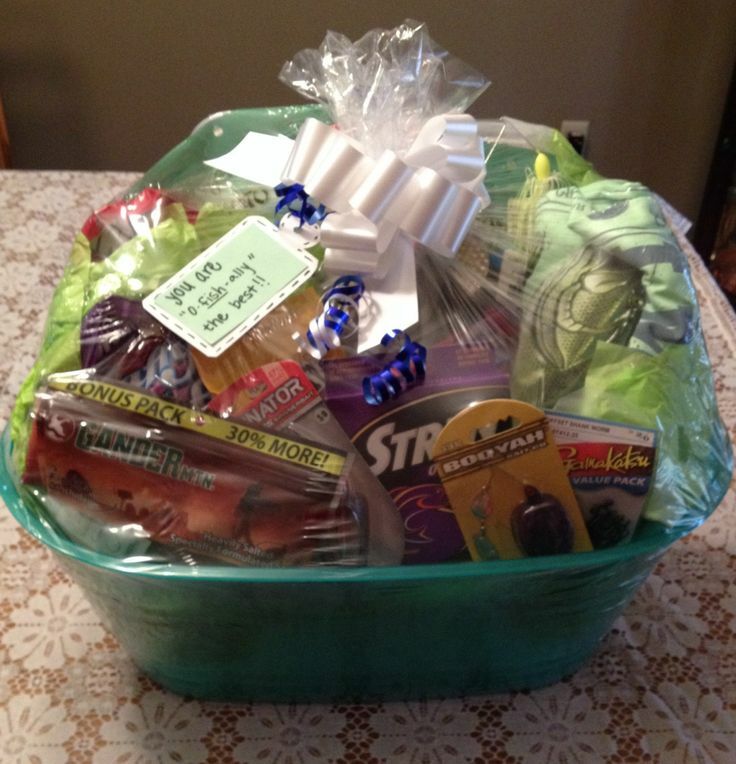 Wrap up the basket neatly with cellophane so as to shield the gifts from moisture. Tie an attractive ribbon over it. Surprise your better half by hanging passionate cards from a mundane clothesline such that when he seeks to fetch his towel, your warm gesture makes him utter in amazement, “Wow!”. Decide what you want to write or draw on each card – you may scrawl stylistically messages such as “You are mine,” “Love you every minute” or doodle cute figures of cartoon characters, etc. Put the pegs on each and hang them on the clothes line. Despite being one of the inexpensive ones, this is one of the best ideas to surprise your love on this special day. No need of seamlessly reminding your absent minded husband to stack his inners properly; now your well thought out present would conveniently aid him to do so. Stick the two boxes with glue. Cover their inside and outside portions with wrapping paper. 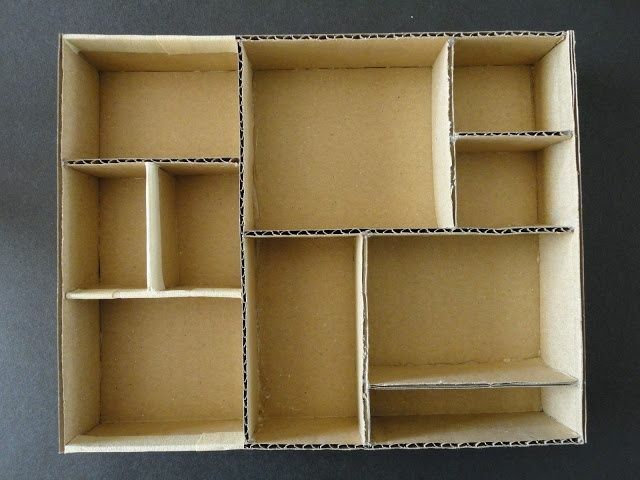 Measure the inside areas of the boxes with a ruler and cut dividers from the single cardboard sheet with a knife, in such a way that when placed inside, they help to form different compartments. Stick them inside the box according to your wish. Secure their joining portions with tape. Complete your gift by sticking in each box, small notes such as, “Love you loads”. Pick out a medium sized empty glass jar. Wash it and let it dry. Keep one of the paper strips aside, take the rest, place them side by side on a table and write on each one reason why you love your husband. 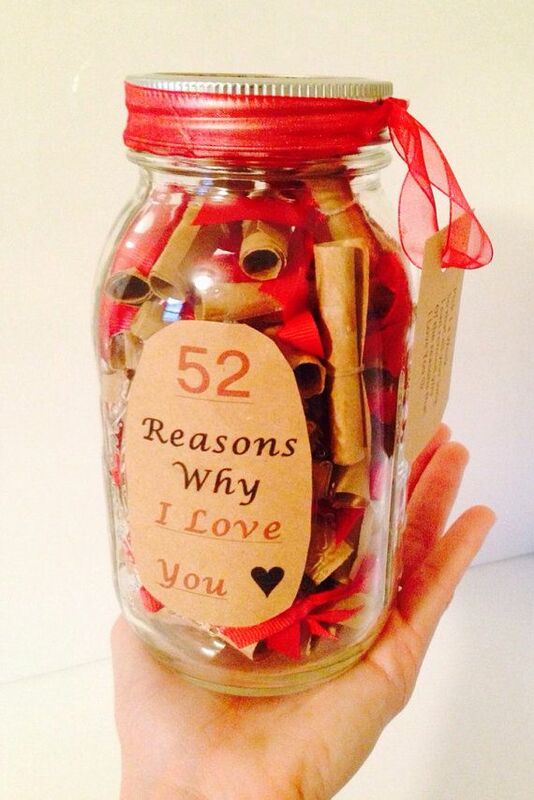 On the 53rd paper strip, write in bold “52 Reasons I Love You”, and paste it on the surface of the jar. It’s not that difficult to fall in love and get married. But it’s tough to keep that romance alive year after year. Valentine’s Day allows us an opportunity each year to awaken our sleeping cupids and make him spur into action. So make the most of it and enjoy.